Right from birth, your little baby has been learning about their world! As well as, they are creating connections in the brain that leads to incredible learning through out life. 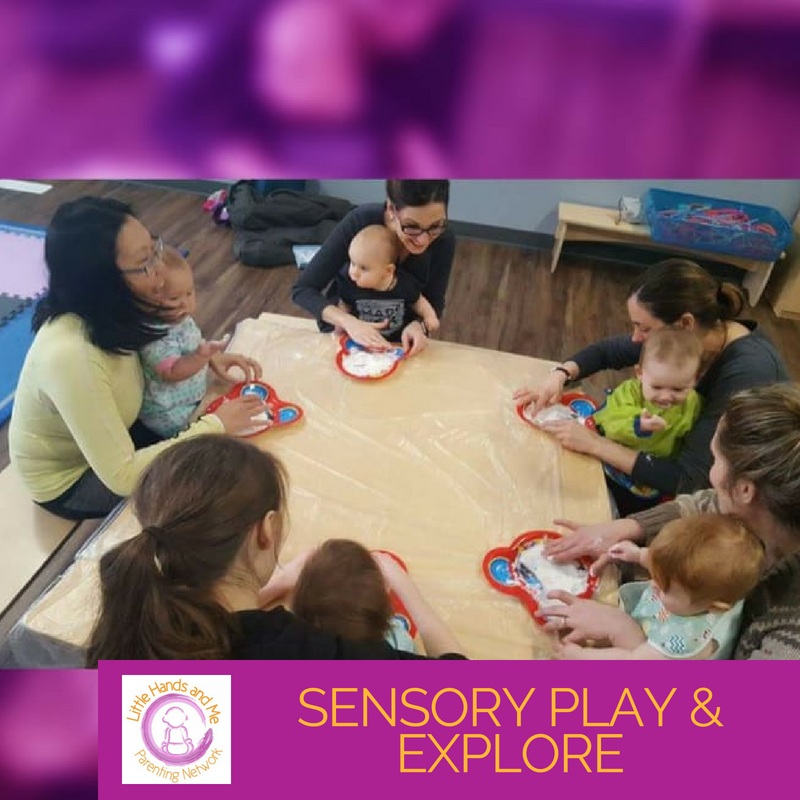 When we use sensory play with our children they are developing the sense of touch, curiosity, exploration and even language! I know, I hear you, I do not like sensory play because of the mess! I get that and I have found some ways to keep the mess limited – ALWAYS the best thing!!! Sensory play does not have to be messy! This can be something such as a sensory discovery bottle. Sensory bottles are a fan favourite in our programs. When using messy sensory play such as painting or a bean bin. A taller, larger container will help to reduce the mess. As well as you can put a shower curtain under to help collect. Another wonderful option is to go outside! I use what I refer to as Dextor sheets, when we have paint mess or even different dough play (moon sand for example). While the environment may not like this, I am able to fold the sheet and toss it away. I feel like a rock star, as my children had fun and the mess is gone without much effort! So tell me this…. 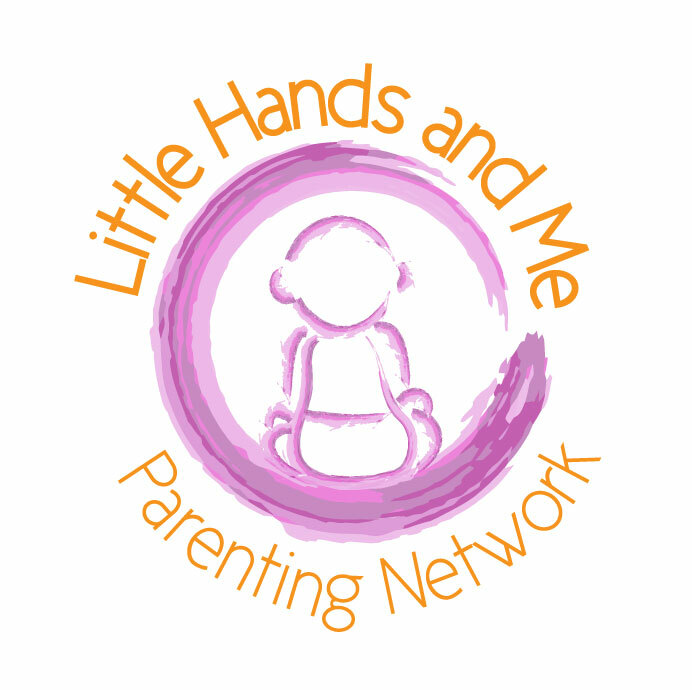 what is your favorite messy play? 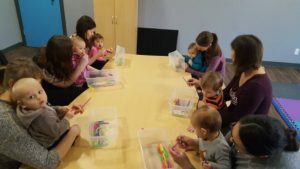 Did you know that we have a Wiggly Worms class for 10+ months? In each class, there is a dough activity, a sensory bin, gross motor skills and often painting. This is the BEST as you do not have to do these activities at home.